Last month The Natural Sleep Store was fortunate to have Erik from Green Sleep drop by for a visit. We have always loved Green Sleep organic mattresses and accessories with their quality and attention to detail. During Erik’s visit, we learned some great new facts about the company, and the materials they use in the Green Sleep organic mattresses. 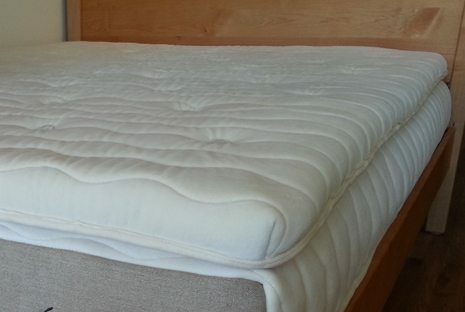 Green Sleep manufactures European-based sleep systems. Through our visit with Erik, we learned that Green Sleep Canada obtained exclusive rights from Green Sleep Europe to sell the sleep system in North America. They are separate companies but use the same high-quality materials for their organic mattresses and accessories. Natural Latex: The natural rubber used by Green Sleep comes from Northern Malaysia, where the rubber trees are grown without the use of pesticides, herbicides or growth stimulators. If necessary, any underbrush is cut manually, or with the help of grazing goats and sheep! Green Sleep has exclusive rights to the latex sap produced by the plantation which has a quality certificate from the Öko-Umwelt Institute in Köln Germany, and is produced in only the most ecologically-sound working conditions. The resulting latex cores are extremely supportive, durable and pure. Green Sleep latex is some of the purest latex on the market. Organic Cotton: It is widely known that conventional cotton is one of the most chemical-ridden crops grown in the world. Click to read our blog post on the benefits of choosing organic cotton. Green Sleep takes great care to ensure the cotton used in their mattresses is organic. The organic cotton is sourced from Peru where the entire process is monitored; from growing the cotton to the harvest and on through the knitting and finishing. The resulting product is a soft, super plush, organic cotton velour casing exclusive to Green Sleep. 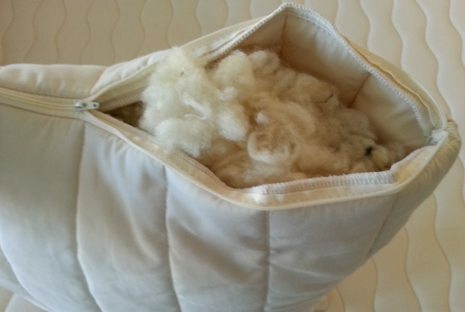 Organic cotton can also be found inside the mattress, where each layer of the latex core is wrapped in organic cotton tricot. This extra detail provides added protection, increases the overall lifespan of the latex and makes the layers easier to handle. Natural Wool: The Green Sleep wool comes from Texel Island. Located off the coast of Holland, the environmental conditions produce thick wool that is extremely durable and provides superior moisture control and insulation. The sheep are raised and fed as organically as possible, being allowed to roam the countryside with no boundaries, and graze along waterways and roads. Since the sheep do not graze exclusively on pasture that is certified organic, but rather are free range, the wool used is not certified organic. The wool is 100% pure and is washed without the use of detergents or harsh chemicals—just hot water. Since the wool is not scoured with harsh detergents, the natural lanolin and pH levels are preserved. In nature, lanolin protects against moisture, the environment, and maintains the sheep’s hygiene. By preserving the lanolin on the final wool product, pH levels are maintained and optimal flame retardency is achieved. Lanolin is also a dust mite deterrent when left intact on the wool. The minimal treatment of the green wool is apparent when opening one of Green Sleep’s wool pillows. You will find that the wool looks as if it was sheared and stuffed right into the pillow. With supportive and durable natural latex, temperature and humidity-regulating pure wool, and soft, comfortable 100% organic cotton, quality rest is easy on a Green Sleep organic mattress.